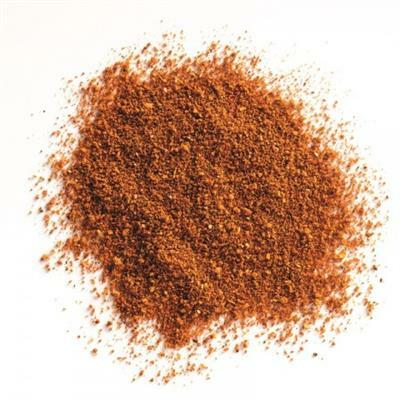 Terre Exotique tandoori masala blend has a beautiful red colour and a slightly smoked and warm salty taste. This Indian spice mix is made with ground coriander, ginger, cardamom, garlic, oregano, fenugreek, cumin, cinnamon, pepper, chilli, nutmeg, cloves, laurel and salt. It pairs wonderfully with white meats, mixed with yogurt and lemon juice for a marinade as well as with scallops and gambas.